I have been reading many books in recent times and this particular one is like a fresh sea breeze :) Have been reading lot of fiction and thrillers. 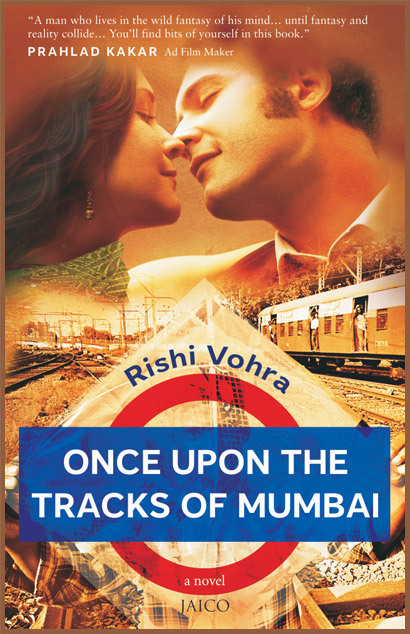 But, this is a casual story with mumbai backdrop. Babloo is autistic and so, has difficulty in understanding few things, he is slow in learning things, but very good at heart. Because of his autistic characterstic, his family (father, a clerk in railway office, mother, a house wife and brother Raghu, working in a stock broker office) always ignore him and never make him feel like a family member. Babloo has a split personality too, the other person always encourage and give confidence to Babloo in all matters. Babloo loves Vandana, who also stays in railway colony and doesn't treat babloo like a retarded person, but talks to him like a normal friend. There comes a twist in the story when Babloo decides to do something to save people in need of help in the form of 'Railman'. Rail man is like an another split personality of Babloo whose purpose is only to provide justice by fighting with bad people. What happens to Babloo at the end? Will the Railman be acquitted from court ? Will he marry Vandana? All these questions will be answered in the climax. Pretty simple story, isn't it? Characterization is good, especially typical middle class bride groom mentality shown through Raghu, cunning Sikander who takes advantage of women, Responsible father Sekhar gupta, typical gossipy house wife Sudha etc., Writing style is simple and it is as if someone is telling story sitting before you.. I didn't feel bored anywhere while reading this book. As i don't know much about Mumbai, this book gave me a real point of view on Mumbai as if i went there and saw with my eyes. At some places, descriptions about surroundings are lengthy and boring. Climax is not very convincing and realistic. I feel, connection points are missing at few places like how Babloo changed to Railman very quick and how a smart girl like Vandana fell for Sikander even after he lost her trust once. It is simple easy going novel, good for reading during journeys. 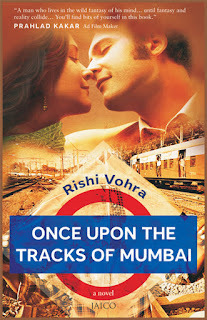 If you like Mumbai and know it very well, you may love this book. My rating is 3/5.